Bluehost vs. Liquid Web Comparison (2019) - 1 Clear Winner! Home » Hosting Reviews » Hosting Comparisons » Bluehost vs. Liquid Web Comparison (2019) – 1 Clear Winner! Bluehost vs. Liquid Web Comparison (2019) – 1 Clear Winner! Are you looking for the best managed WordPress hosting provider? Want to decide between Liquid Web and Bluehost? Both Liquid Web and Bluehost are 2 leading managed WordPress hosting provider. In this article, we’ll compare between Bluehost and Liquid Web so you can decide which one is best suited for your budget and needs. Bluehost is a hosting brand owned by Endurance International Group, a renowned web hosting company. It’s also an officially recommended web hosting provider by WordPress.org. Bluehost’s hosting services are geared towards beginner level users and particularly rock the shared hosting vertical. They offer a wide variety of hosting options, including shared, WordPress, VPS, and dedicated hosting servers. Shared WordPress hosting for entry-level users. Managed WordPress hosting for users who need optimized server performance. WooCommerce hosting for eCommerce businesses. Liquid Web is an independently operated managed web hosting company. Unlike traditional hosting providers such as Bluehost, Liquid Web only offers managed hosting services for VPS and dedicated servers. Their hosting options are optimized for popular apps, including WordPress, WooCommerce, premium business email, and more. 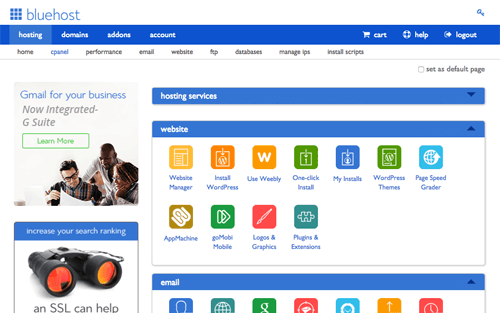 The key difference between the WordPress and WooCommerce hosting services of Bluehost and Liquid Web is that while Bluehost offers hosting solutions for all sizes and budget, Liquid Web is targeted at high-traffic volume websites. To conduct a performance test of the hosting servers for our Liquid Web vs. Bluehost comparison, we created a test WordPress site on both hosting servers by signing up to their WordPress hosting plans. Then, we installed a default WordPress theme, uploaded dummy content, including images, to mirror the production environment on our test site. Both Bluehost and Liquid Web, performed consistently throughout our Load Impact test. The number of live visitors on the site doesn’t have an impact on server performance. As you can see, while our Liquid Web site was rated C+ by Bitcatcha, our Bluehost site was rated C.
One of the best things about Bluehost is that they provide a great user experience to users, which makes it immensely helpful to kick off a site even if you’re an absolute beginner. With their guided onboarding, you can easily set up WordPress and install your preferred theme even without logging into your WordPress site. They also recommend a few essential WordPress plugins that help you step up your business goals. 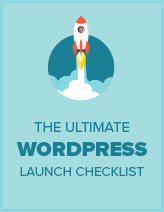 In a nutshell, you can launch a WordPress site with ease even if you’re not familiar with the WordPress dashboard. Bluehost also provides cPanel access to manage your website with ease. With Liquid Web’s managed WordPress hosting plan, you’ll get access to iThemes Sync Pro. It helps you manage all the sites you run from a single location. With iThemes Sync Pro, you’ll be able to monitor uptime and downtime, track SEO status of your content, and control what your clients see in WP-admin. If you’re just starting out, then we recommend choosing Bluehost because their onboarding experience is customized for users like you. With a slightly expensive shared web hosting plan, you’ll get unmetered SSD storage, unlimited email accounts, unlimited storage, $200 worth marketing offers, site backups, and more. Auto-plugin updates: In addition to WordPress core updates, Liquid Web also offers automatic plugin updates with visual comparisons. 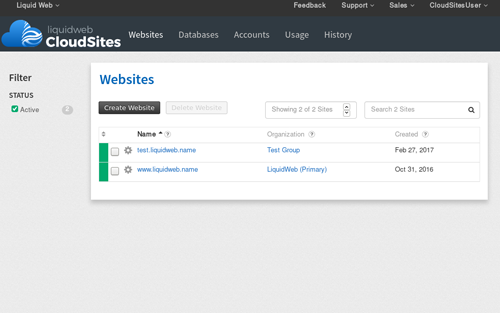 Full server access: Unlike other managed hosting companies, Liquid Web offers full server access. Stencil: Save your time while building new sites by using the same plugins and theme. Easy staging: Easily create a staging site, which allows you to test your codes before deploying it to the live site environment. Bluehost offers 24/7 support via phone and live chat only. In an effort to focus on providing direct support, they discontinued email-based ticket support. The downside is that if you’re just too busy and can’t wait for an agent to respond via live chat, you won’t be able to get your support query solved. This can also be frustrating to users with more advanced issues that may take a bit longer to resolve. Unlike Bluehost, Liquid Web provides technical assistance via 3 modes: phone call, live chat, and emails. Both Bluehost and Liquid have extensive knowledge bases on their sites that cover every aspect of building a website from the ground up using their web hosting plans. The regular pricing for Bluehost shared web hosting starts at $7.99 per month. 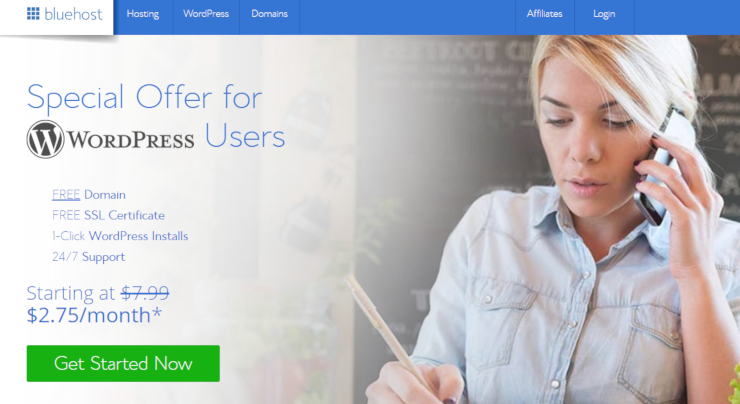 Since we’ve negotiated a deal with Bluehost, IsItWP users only have to pay $2.75 per month. Best of all, with every new Bluehost account, you’ll get a free domain name and free SSL certificate. The pricing for Liquid Web managed WordPress hosting starts at $99 per month, which is quite a lot when you’re starting out. 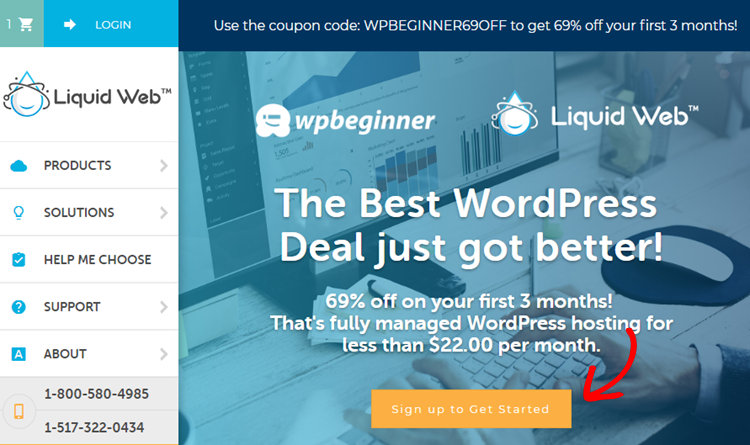 We’ve negotiated a deal with Liquid Web as well to provide 69% off for first 3 months to IsItWP users. That’s fully managed WordPress hosting for as low as $21.39 per month. If you’re just starting out and are looking for an affordable managed WordPress hosting provider, then look no further than Bluehost. Bluehost also offers several different hosting options for entry-level users. Bluehost also offers an affordable WooCommerce hosting service that gives you every basic feature you’ll need to run an eCommerce site, such as a domain name, free SSL, and dedicated IP address. Liquid Web on the other hand, is for users who want blazing fast website. Liquid Web’s managed WooCommerce hosting helps you build resource-heavy eCommerce store without having to hire a developer for optimizing your servers. We hope this article helped you find the best managed WordPress hosting provider. If you liked this article, kindly check out our Bluehost review and Liquid Web review.